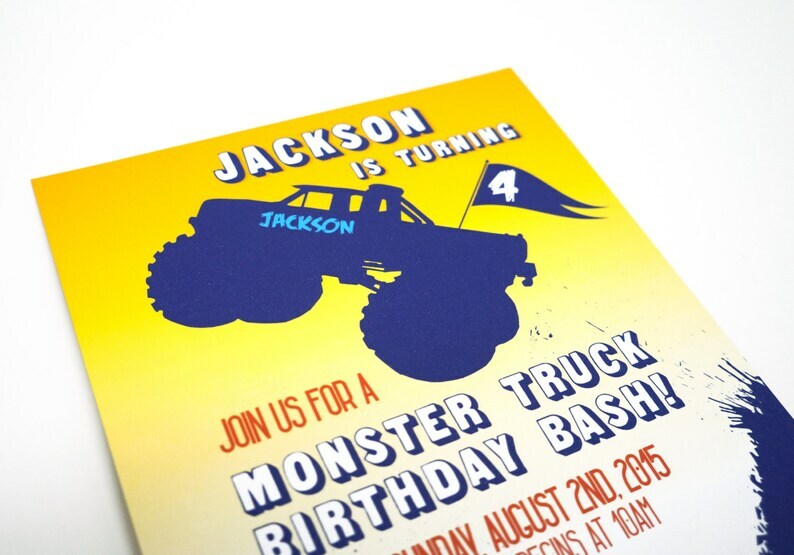 Celebrate your Monster Truck Birthday Bash with these awesome, colorful birthday invitations. 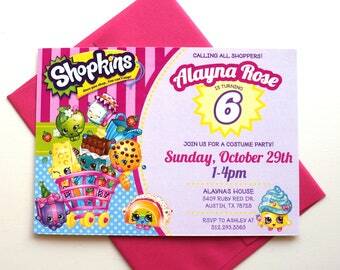 All colors on the invitation and envelope can be changed to fit your party's theme. -The invitations are professionally printed on a ultra thick white 110lb cover stock. -Each invitation measures 5" x 7" and comes with a envelope in the color of your choice. You may purchase your invitations directly through this listing. Once your purchase is made, I will contact you with the details needed to create your design. A design proof will then be sent out within 1-2 days. No invitations will be printed until I have your final approval. 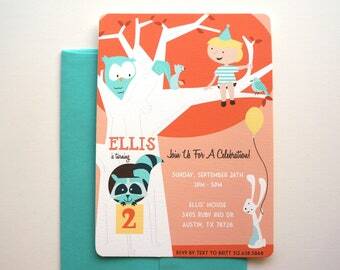 If you would like to print your custom invitations yourself, a digital file can be sent to you for $25. All invitations ship USPS Priority.